Its been a while since I wrote, been so busy plus really not in the mood to write! 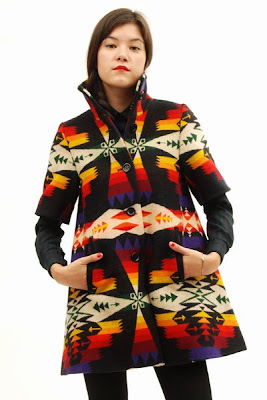 Pendleton is collaborating with Opening Ceremony to bring us the best of ethnic fall wear for both men and women. Ethnic Najavo and plaid pieces. This reminds me a lot of Anna Sui, doesn't it? 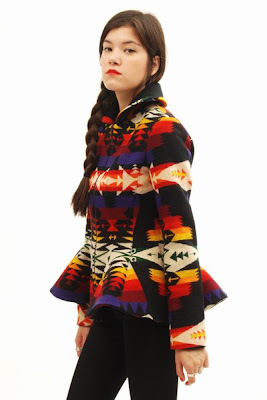 I'm not much of a Pendleton fan, but anything for Opening Ceremony is in for me! 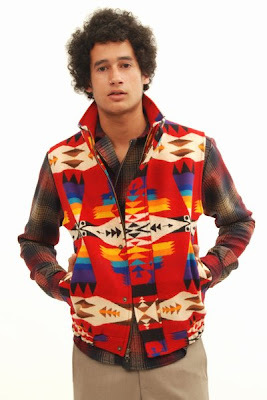 Love the colorful patterns, a break from fall's dull solid colors. This can be worn anyplace and for any occasion. Can be worn very casually or can paired down with heels (for us ladies) and wear them out for dinner with the girls. I have been checking out many of your articles and i can claim pretty nice stuff.